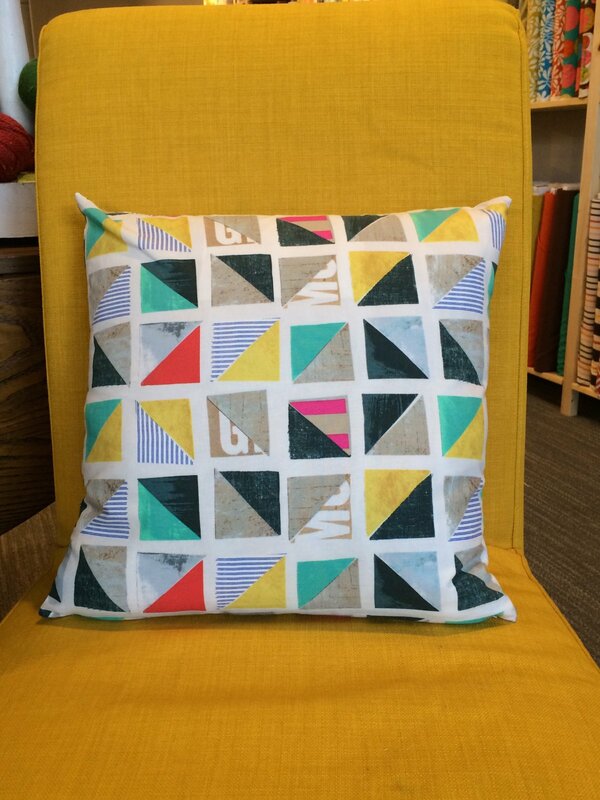 Learn the basics of sewing in this 3-session class! Session 1: Learn how to thread a machine, wind a bobbin, sew in a straight line, understand tension, and make a cute throw pillow! 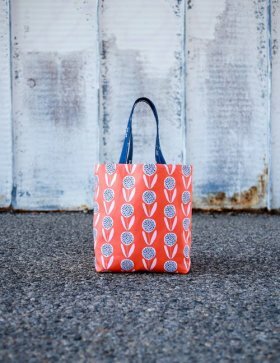 Session 2: Make a tote! Learn how to install straps, lining, pockets, and a button. 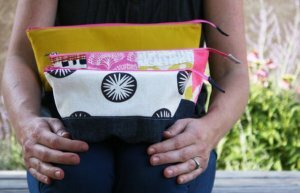 Session 3: Learn to install a zipper and make box corners with an adorable zipper pouch! Price includes registration and patterns only. Materials for class must be purchased at Fiberge, but will be discounted for students! Requirements: Machine must be in working order.